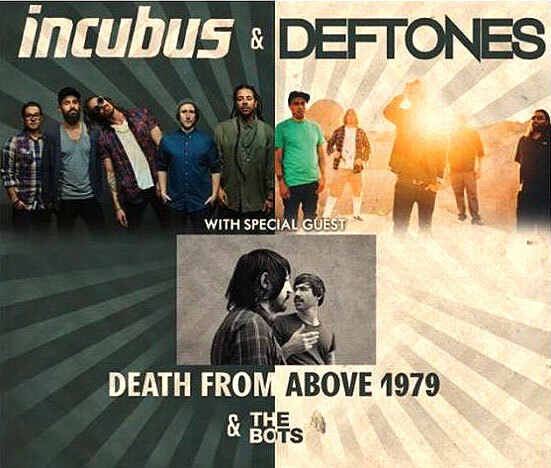 This summer will see Deftones and Incubus team up for co-headlining tour with support from Death From Above 1979 and The Bots. The mammoth summer outing kicks off with a stop at Jones Beach on Aug 5. Deftones are currently working on a new studio album due for release later this year, while Incubus recently dropped the first of two planned EPs in Trust Fall. DFA1979, meanwhile, is continuing to tour in support of their sophomore LP, The Physical World.